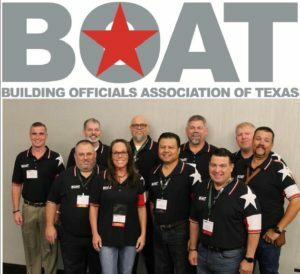 On behalf of the BOAT Board of Directors, I would like to thank each of you for your commitment to our great profession. 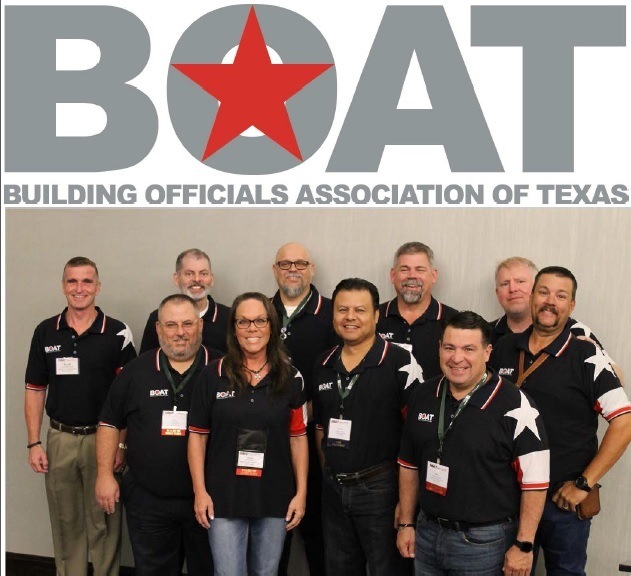 As you know, the Building Officials Association of Texas is dedicated to enhancing the professionalism of its members, advancing the standards of the building industry, and leading in the resolution of public policy issues. Establishing higher standards of uniformity and efficiency in administering and enforcing model building codes and related ordinances. Creating and establishing better public relations, in order to secure safe structures and buildings for the public safety and protection of life, health, and property. Encouraging building and code professionals to attend training schools and participate in educational programs sponsored by BOAT, state agencies, and model code groups. Encouraging certifications in order to achieve a high level of code enforcement universally throughout the state. Each board member you elected is committed to providing sound leadership and fulfilling the duties as prescribed within our by-laws. Please do not hesitate to call upon any of us for we are here to serve you. BOAT receives the Chapter Merit Award! For more information, click here. Competition entries are due by 5 p.m. est on April 30, 2019.